Improv Jams - Comedy Café Berlin - Join in! 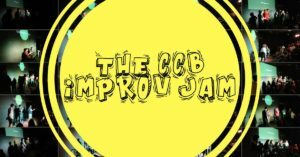 CCB hosts a variety of improv jams. Improv jams help provide a safe and inclusive space for new to advanced improvisers to perform in front of an audience. It’s fun, it’s relaxed and super supportive! All experience levels welcome! Anyone can join and everyone can play. Put your name on the list and we’ll draw teams randomly until everyone’s had a chance to perform. You’ll be joined by current and former students, members of Good Luck, Barbara, ComedyShorts, CCB Harold House Teams and numerous other indie teams. The Jam will be routinely hosted by new and upcoming improv teams. 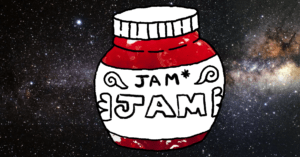 Jam*Jam – A monthly improv jam for women, nonbinary and trans folks. JUST PLAY IT! Shortform Improv Jam. ComedyShorts Berlin and Comedy Café Berlin present JUST PLAY IT a Short Form Improv Jam! Come play the Games that make ComedyShorts so wild and fun. These fast-paced games blend the rules of an improv ‘game’ with story-telling, audience suggestions, fast editing, and comedic timing, and hit the audience with a lively, competitive spirit that is just plain FUN! 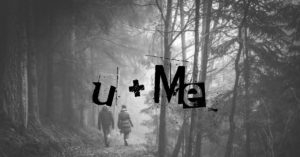 U + Me :: Two-prov jam! We’re taking the CCB jam to the next level. Let’s see what happens when we limit the team size to 2 people and give them ~6 minutes all on their own! Check the calendar for next bookings. For a successful jam, we ask all participants to follow the 7 tips.